Over recent weeks, I’ve had occasion to see life in hospital and in a hospital-level care rest home for the aged, and have been impressed by the care and kindness I have seen displayed at all times, both towards the elderly, and towards their families. I’ve also seen considerable kindness shown to elderly in-laws (who don’t have children) by their nieces and nephews, especially as this elderly couple haven’t really planned for their old age, but despite that they are getting the assistance they need. It once again reminds me to plan for my old age, and to make decisions before I think they are necessary because when they are absolutely necessary, the decisions become overwhelming. Alternatively, I need to be confident in appointing someone who can make decisions on my behalf, because however much I might plan, at some stage, I may no longer be capable of making decisions. Yes, I worry occasionally about what it will be like when I am old and vulnerable, and I think that is only natural, so I’m not going to beat myself up about it. The difference is that I have no expectations that I can rely on children or nieces and nephews, and I hope that that will make a difference, both in terms of forethought, and in terms of my emotional state. I hope I don’t complain about my fate if I end up in a rest home, but rather will be appreciative that I am somewhere safe, surrounded by potential friends and kind people. In fact, the one thing I am certain of is that I want to have a positive attitude towards the options for the end of my life, because the alternative – negativity and regret, the fighting against what is practical or even possible – is not a happy way to live. Men in particular, I think, struggle with grief, are a little afraid of it, perhaps because they don't know how to express their emotions, as they've never been taught to do so. And I think they struggle with asking for or receiving advice too - especially from a younger - it's all relative! - woman. So I've had to choose my words very carefully, and be silent a lot! The thing about grief is that it is very personal. Though we all express it differently, and in our own time, there are so many similarities to our feelings too, regardless of the type of loss. I've seen that through my own losses, and the many people I worked with when I was volunteering, or have talked to here or off-blog too. So, as I am not restricted to eight sentences today, I'm going to continue by thinking what advice I would have liked to have received when I was grieving - the loss of my fertility, the loss of our plans for children, the loss of our pregnancies. It hurts, but it won't always hurt. One day, you'll think of your loss, and you'll feel only love, not pain. You will be okay. You will laugh again. Love again. Feel happy again. Please don't feel guilty about that. It does not diminish your loss, but it does help you live. Remember to be grateful for what you have had, and what you have now. The saying that "grief comes from love" is so very accurate. Grief teaches you love, compassion, self-love, and a sensitivity to others. These are precious gifts. Grief brings opportunities, but you have to let yourself grieve first before looking for them. You will get through this. Trust in this truth, even when you feel as if you won't, even when you can't see an end. I realise now that I wrote a similar post a few years ago, Eight Things I Wish I had Known about Grief. I'm really happy today to do some promotion on behalf of the wonderful Jody Day, of Gateway Women. She is coming to New Zealand, and even though she is coming for a holiday, she couldn't come all this way and NOT lead a workshop! She still has places left on her Auckland Reignite Weekend on 18/19 November; you can find more details and sign up here. I can't imagine a better way to spend a weekend than linking with other women who share our journey, and who are also struggling to come to terms with their life without children. But if you can't do that for whatever reason, you don't need to be or feel alone. 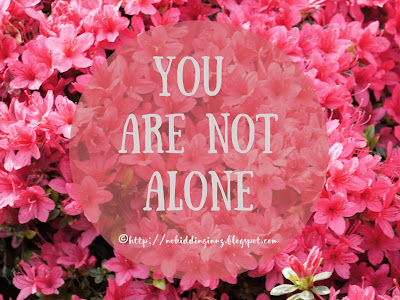 I have, as you probably know, done a huge part of my healing after infertility and loss, and my subsequent experience of acceptance, online - here on this blog, and elsewhere - with some amazing women who are now lifelong friends. Even now, almost 15 years later, I am still astounded every day by how reassuring, empowering and encouraging it can be when you find people who understand, especially women who won't judge, or criticise, or condescend. Whether those people are in the the same street or suburb, or across the world, I know I am not alone, and I hope you know that too. My father-in-law is grieving at the moment, and is at that raw stage when there are hundreds of little realisations that certain things will not be happening in the future. It reminded me of those difficult times when we first know, for certain, that we will not be having children, when everything reminds us of that fact, whether it is seeing a half-empy bottle of folic acid on the shelf, or a mobile we’d bought in Thailand for a future child, or walking past the room that is a nursery. Each time we see those things, we think along the same lines as we always have, until we’re struck with the realisation that, “wait, that’s not going to happen” or “but I won’t need that now,” and we grieve anew. For me, the hope I had managed to feel throughout my infertility kept me going until, at the end, there was a tough period when there was no hope. Things got harder, being hit with hundreds of little griefs, before they got easier, when I found hope again for something new. I am, however, aware that losing your partner of 60 years at the age of 89 means that finding hope for something new might not be realistic, and I can just hope that his hundreds of little griefs do not linger, and that his brain manages to reprogram itself to accepting the new reality. So at this time, I am actually thankful for my experience of grief, first encountered through pregnancy loss, infertility and childlessness, when online friends taught me so much about grief, healing, and compassion and self-compassion. I’m thankful that it not only helped me help my mother during and after my father’s death, but that it is already helping me help my husband, in-laws, and nieces and nephews get through their grief too.